Yorkshire’s Jamie Coward is confirmed to ride for the new road race team ‘PreZ Racing’. Team owners John and Zandra Preston are delighted to welcome Jamie on board for the 2018 road race season including the Isle of Man TT Races fuelled by Monster Energy. 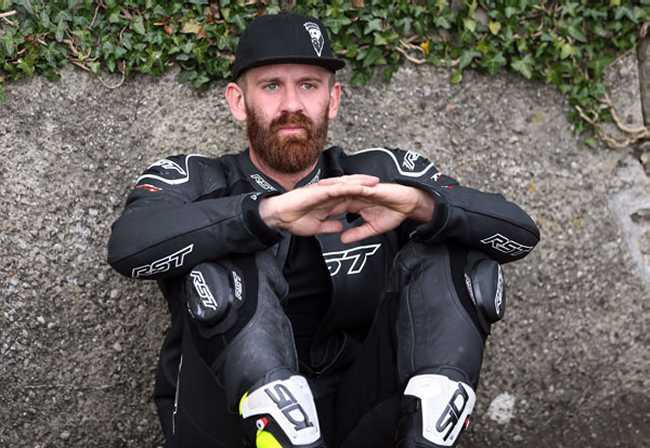 Jamie’ really came to the fore in last year’s TT meeting and finished fifteenth in the RST Superbike Race and eleventh in the PokerStars Senior Race as well as a hugely credible ninth placed finish in the RL360 Quantum Superstock Race. He was holding onto tenth place in the Monster Energy Supersport Race 1 before retiring. His 2016 TT campaign included a brace of twelfth placed finishes in the Supersport Races and with a best lap of 124.273 in the 600 class he is expected to be among the seeded riders in 2018. The team will campaign a newly built Raceways Motorcycles prepared Yamaha R6 as well as an SV650 Suzuki built and supplied by James Holland of JHS Racing Bristol, which will run in ‘PreZ Racing’ colours and will race under the ‘PreZ /JHS Racing’ name.